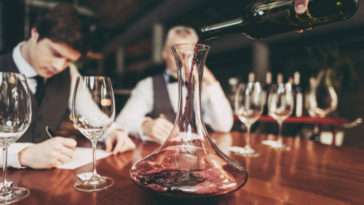 The Rabbit brand of wine accessories from Metrokane is a market leader in the production of high-quality bar and wine ware. 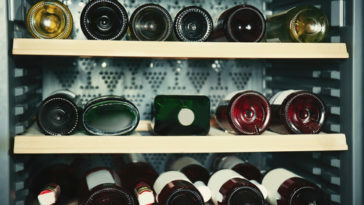 The company has dominated the market with its quality products that include decanters, corkscrews, aerators, juicers, cocktail shakers, and wine preservers among others. 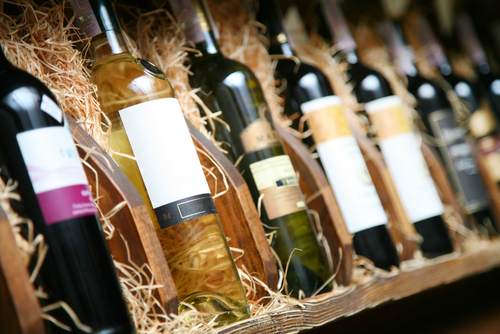 Ultimately, Rabbit wine products are a great addition to any wine lover’s collection. 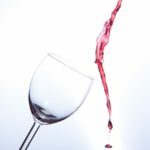 In this article, we are going to look at wine opener products from Rabbit and come up with a buyer’s guide to help find the best one for your kitchen or bar. What stands out for this brand of wine openers are its amazing reviews online. Metrokane has a large reputation in offering quality products since its formation in 1983. Rabbit openers are available in different stores as well as online which means that they are readily available. But with so many variations and wine openers from Rabbit available in the market, it can be challenging to know which one to pick. Read on to find out what to look for. 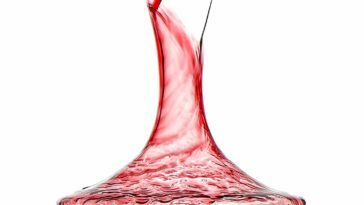 Furthermore, we have done a review of our top 3 best wine openers from Rabbit to help you pick one that suits your needs in no time. 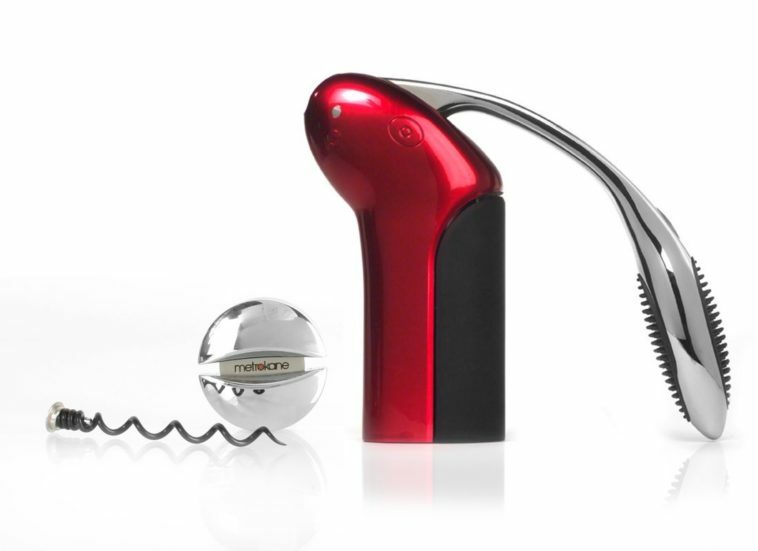 Operation: manual and electric wine openers from Rabbit are available. 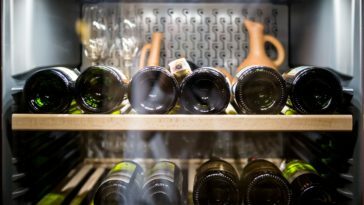 The different operations dictate the speed of opening, cork release, and compatibility with different sizes of bottles. Styles: there are various types of Rabbit openers including the Vertical and Original Rabbit. They work easily and come with extra features like a foil cutter, extra spiral, and a manufacturer’s 10-year warranty. Choosing the wine openers from Rabbit is not always as easy as most people expect. This is because you need to understand that different features are specifically suited to different users based on the functionalities that each user is looking out for. Here are several considerations that you need to have in mind when looking for the best Rabbit bottle openers. Electric Rabbit wine bottle openers are extremely fast, are easy to use, and do not require manual operation. You just place them on the bottle and voila! Basically, they are ideal for people with weak hands or those who are just lazy and want optimal convenience. These openers use batteries that are charged on the opener’s base. The openers, however, are more expensive as compared to the manual Rabbit wine bottle openers. 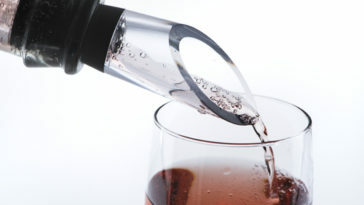 The manual wine openers are easy to use too but might require a little more effort to use as compared to electric ones. All you need to do is to lower the screw into the cork and pull it out. They are effortless but not as convenient as electric Rabbit wine bottle openers. The manual openers, however, are cheaper and may last longer. Their biggest shortcoming, however, is that they do not work well with synthetic corks. There are so many types of Rabbit bottle openers with each coming at a specific price. Because of the large line of wine opener products from Rabbit, you can be sure to find one that fits your needs and pocket. This is because there is a wine opener for every budget. 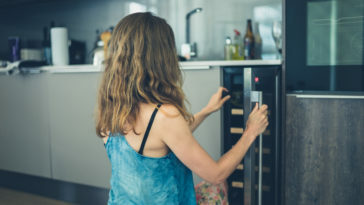 Lower priced wine opener products from Rabbit, however, will have limited features as compared to high-end ones that are automatic and work easily. It is imperative to ensure that your wine opener can work with any type of cork. Wine opener products from Rabbit can work with both older corks and synthetic types of corks so you do not need to have several openers. For people who need a wine opener on the go like frequent travelers or waiters, a Rabbit wine opener that is easy to carry is important. You need a wine opener that can easily fit in a pocket and is lightweight. Large lever Rabbit openers and automatic ones can be very hard to carry around since they are bulky. Aside from opening your wine bottles, a wine opener is a decorative piece that looks great in any bar or kitchen. If you like entertaining friends and relatives, one that is showy enough will be a good choice. However, it is critical to ensure that the beauty will not overshadow the functionality. 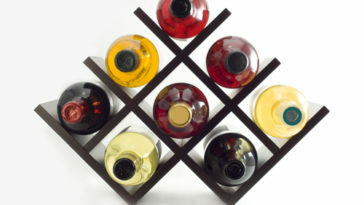 A beautiful piece can also be a great gift choice for your wine-loving friends. A wine opener is a tool that requires to be made from strong material due to the nature of its work. That said, you need to purchase a Rabbit wine opener that is strong enough to withstand repeated use and deliver dependable services for a long time. Additionally, Rabbit wine openers with strong manufacturer’s warranties are the best. 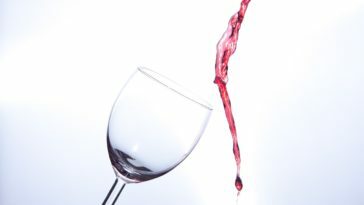 With so many wine openers available in the Rabbit line of wine accessories, it can be overwhelming to identify the best. To help you conveniently find one that is ideal for you, we have a list of 3 of our favorite Rabbit bottle openers. Our list is based on functionality and reviews of the different wine openers from the Rabbit line. This very stylish wine opener is placed on the bottle vertically and removes the cork in under 5 seconds. You do not have to manually twist it. 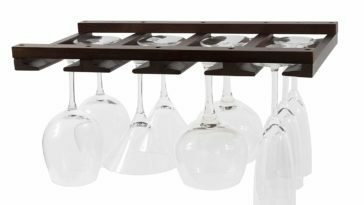 The innovative design assures you of an optimal performance on all corks and bottle sizes. Quick cork release: the Original vertical wine opener opens your wine bottle in under 3 seconds and releases the cork immediately. Material: it is made of stainless steel that adds to its durability. The lever is made of die-cast metal that makes it strong enough to withstand continued pentation. Ergonomic handle: the standing design handle is comfortable and has an easy grip for faster operation. Independently tested: this wine opener has been tested for efficacy. It has been tested for 20,000 pulls to ensure optimal functionality without a hassle every single time. You will love this wine opener if you are interested in finding a fast and easy to use wine opener. Additionally, it is highly stylish; as such, you can put it in your shopping cart if you want to impress. What is so appealing about this wine opener is the level of convenience it offers. All you need to do is place it on top of your wine bottle and let it do the rest. It removes the cork seamlessly and can work on all bottle sizes and cork types. It comes with a built-in foil cutter that allows you to open up to 30 bottles in one charge. 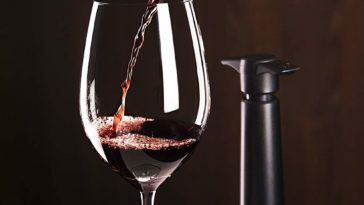 Automatic opening and cork ejection: this wine opener removes the cork from the bottle fast and also removes the cork automatically from the corkscrew. Work on all types: like most Rabbit openers, this wine opener works on all cork types including synthetic and plastic ones. A single charge can open up to 30 bottles: this means that you do not have to keep charging your device every time you want to use it. 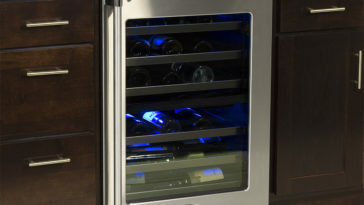 It also allows you to keep the drinks coming when you are hosting a small group of friends or relatives. Has a built-in foil cutter: increases the convenience by working quickly on unopened bottles. The package includes a USB wall charger. It is ultimately the easiest wine opener to work with from the Rabbit line. When it comes to convenience, the Rabbit electric wine opener gives quick cork removal automatically without you having to break a sweat. What’s more, this little device is definitely worth your consideration if you are looking for something eye-catching. Are you determined to find a highly functional wine opener? If you are, this Rabbit Original wine opener pulls out a cork in seconds and automatically releases it. 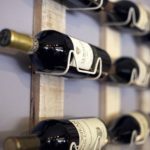 It is made of durable material that not only makes it last longer but also keeps it strong enough to go up to 20,000 corks in its service life. 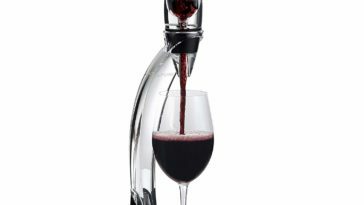 Premium functionality: it has 31 moving parts for faster and convenient wine bottle opening and can open any type of cork. This wine opener opens wine bottles in 3 seconds with one easy pull. The cork is released immediately after opening each bottle. 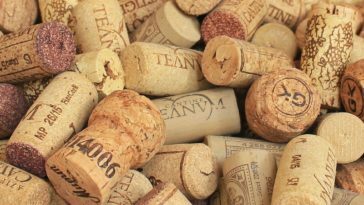 Independently tested for cork pulls: it has been tested for 20,000 pulls that ensures an easy opening experience. This test, however, assumes that you will replace the spiral after 1000 cork pulls. Construction: this wine opener is made using strong polycarbonate metal and nylon. 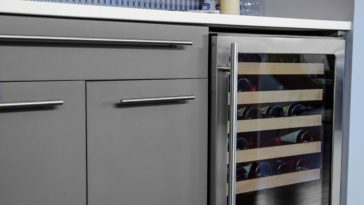 This increases the wine opener’s durability and makes it strong enough to handle repeated use over time. Ergonomic handle: the handle is soft and easy to use. It provides a firm grip that gives you maximum control when opening your wines. Package includes: the wine opener, extra spiral, foil cutter, presentation case, and the manufacturer’s 10-year warranty. In addition to the great features, this tool is an award-winning piece. This is why you can be sure of its performance. 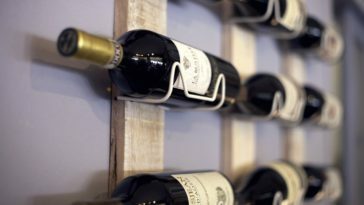 The manufacturer has included a presentation case, which makes the opener an ideal gift for your wine-loving friends and relatives. With three color choices: black, silver, and red, you can get a piece that will blend well with your counter and attract the attention of everyone that sees it. Wine opener products from Rabbit are a statement in any bar or home. Although they are not some of the cheapest wine openers in the market, bottle opener products from Rabbit are definitely among the top rated ones thanks to their premium performance and aesthetic appearance. 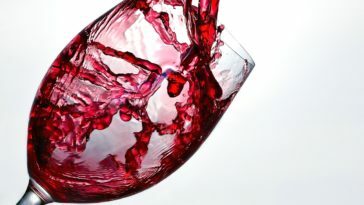 They work fast and efficiently to open wine bottles while reducing the risk of dropping cork fragment into your wine. If you are looking to own the best wine opener, any of the above wine openers from Rabbit will give you optimal operation and value for your money.